Imagine waking up tomorrow to a news story about Google accepting a sum of money from widgetland.com in exchange for first place organic placement for a series of relevant search terms. As a user of Google, how would you feel about that? Frustrated? Like your trust has been violated? I would. After all, the reason you use Google’s search engine is because it consistently gives you relevant results – this due in part to the fact that advertisers cannot pay for placement. But let’s say you don’t care about widgetland.com. You buy your widgets from widgets-r-us.com anyway. You’ve been purchasing from widgets-r-us.com ever since finding their website via a Google search for cheap widgets. You’re a lifelong customer. You write reviews online every chance you get. You subscribe to their newsletter, follow their Twitter, and even lament the downfall of MySpace because you’d love to know what kind of terrible taste widgets-r-us.com has in sparkly website backgrounds. Google needs users to make money. If rankings could be guaranteed (by media spend or by exploiting the Google algorithm) then Google loses users, and therefore loses AdWords revenue. Let me first distinguish between organic (sometimes referred to as “natural” or “non-paid”) listings and paid listings (Google’s paid listings are called AdWords; Bing’s paid listings are called Bing Ads). As mentioned above, organic listings are not a paid placement. Paid listings are a paid placement. While paid listings are still held accountable to factors such as relevancy and user intent, they distinguish themselves from organic listings by allowing advertising dollars to impact placement. For this article, I’ll address the organic listings. So how do people use search engines? Some people use search engines as shopping portals. Some as news portals. Some as a way to advertise their business. 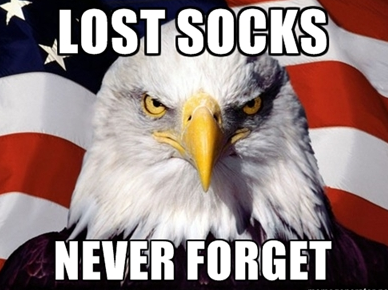 Some as a way to quickly find the perfect meme response to an office-wide email about National Lost Sock Memorial Day. Compare this information forward purpose to the more transaction forward purpose of other search platforms. Directory websites such as Yelp and Manta have a much more singular purpose. These sites are meant to provide users with local business information which in turn are meant to lead users to transact. Users accept that businesses are paying for this online real-estate, real-estate which is made valuable because the user’s intent is to transact. Smartly, most of these business directory listing sites have moved away from the purely pay-to-play world once dominated by newspaper circulars and print Yellow Pages directories, opting to incorporate common search engine relevancy elements such as localization and personalization (when you use Yelp to search for “pizza” you’ll get pizza places near you, not pizza places near Dan in Finance, which comes as a surprise to Dan every time because he hasn’t yet figured out how geolocation works). But paid placement is a central business model for directory listing websites. 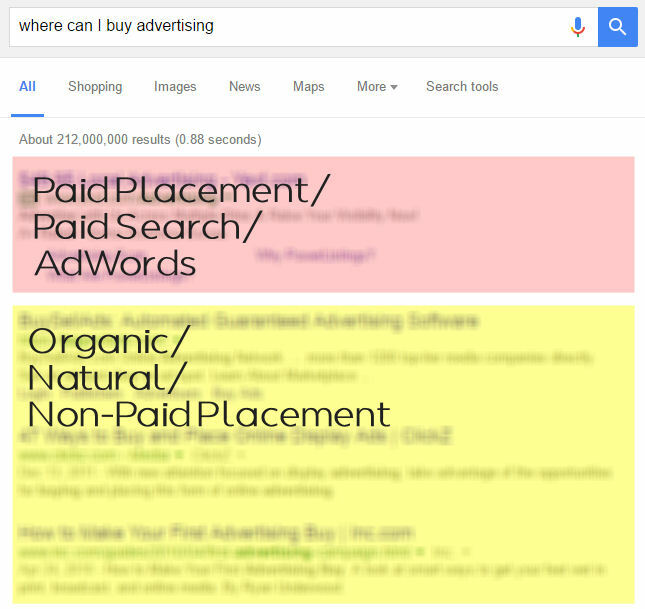 Paid placement is not a central business model for search engine organic listings. In summary, a business cannot pay to be ranked higher in organic search results. Search engine ranking is not a media buy. So Why Don’t Search Engines Monetize Organic Listings? So, the obvious question is, why don’t search engines charge for organic listings? They would make a ton of money, right? Yes, they would…at first. But that flood wouldn’t last long. If anyone–me, you, even Dan in Finance–could guarantee rankings the entire architecture of a search engine would dismantle. Rankings would no longer be unbiased. If rankings aren’t unbiased, the search engine’s user base dwindles, and so does all the money search engines get from serving paid listings. Okay. Then How Does SEO Help My Rankings? So nobody can pay to rank well in Google organic search. What then does a search engine optimization (SEO) strategy do for your website? Search engines are second only to The Colonel in terms of keeping secret recipes secret.3 No one person–and that likely includes anyone at Google–knows every single ingredient in Google’s ranking algorithm. That’s why, at Go Local Interactive, we’ve built an SEO program that focuses on what we do know and what we can control. An expert SEO5 will never know all of Google’s ranking factors, nor will she know how often Google updates those factors. 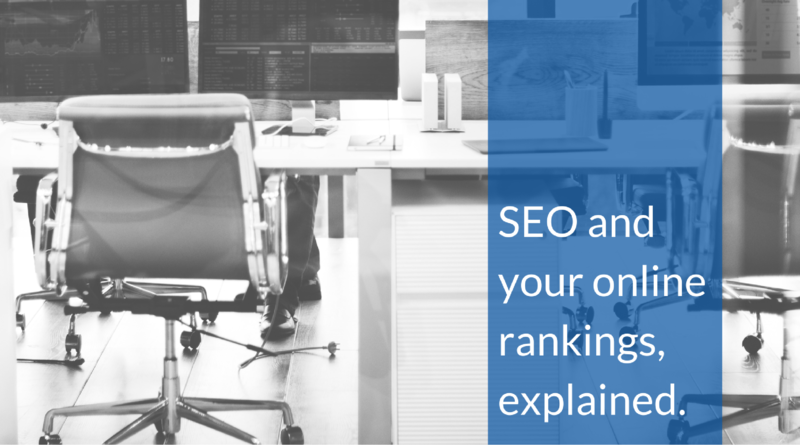 The volatility and secrecy of the algorithm is one reason no SEO team can guarantee rankings. The fact that you can’t pay for specific results is another; instead, what people pay for is the expertise and attention of a professional SEO team. That expert SEO and a strong web development team will know how to ensure your website is perceived as relevant to search engines and to users. That’s the ultimate goal: relevancy, not rankings. Ask yourself this: does my website deserve to outrank all other websites for the services I offer? Can you honestly say that your website provides a better user experience, and is better constructed than all other competitor websites out there? Be honest with yourself. If the answer is no, you need work with an experienced SEO and web development team to rebuild or update your website. Make it impossible for search engines to ignore your website. What about links? I’ve heard a lot about links. Links are an entirely different topic that can fill its own article, but I’ll touch on them here. You remember those ranking factors I mentioned earlier? Inbound links (which occur when another website links to your website) are the most visible–and consequently the most manipulatable–ranking factor. In fact, when some SEO agencies claim to guarantee top rankings, they are often just offering a program that involves buying inbound links from other websites. 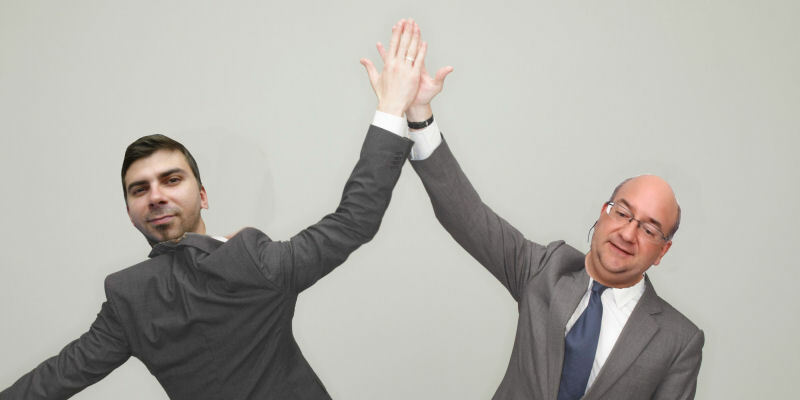 Generally speaking, the more relevant inbound links you have, the higher you will rank. This seems simple enough. But consider this: links are easy to manipulate. We know this. But more importantly, search engines know this. Doesn’t it make sense then that search engines have, and will continue to, find ways to devalue unnatural inbound links so that search results remain unbiased? Yes. In fact, inbound links are the ranking factor most susceptible to the volatility of algorithm changes. Google, for example, is constantly inventing ways to identify purchased (ie., fraudulent) inbound links and punish websites who participate in link-buying schemes. Buying inbound links is not worth the short-term gain for potential long-term punishment. I cannot guarantee rankings on a search engine because the factors that determine rankings are ever-changing and largely unknown.6 What isn’t unknown and ever-changing is the need for a website that is easily crawlable by search engines and one that gives its users relevant information. According to Fool.com, a source I found via Google. This article is focused on the organic, or natural, search engine listings. Paid listings are a separate entity entirely. It is, of course, worth mentioning that Google has been accused of being not so unbiased even regarding organic listings. Reducing the number of Map Pack listings from five to three, increasing the whitespace margins in all search results pages, and shifting all results on the right side of the page to shopping results, all indicate that Google is trying to steer more people to click on paid listings. It makes sense. Paid listings are how Google makes its money, after all. Damn. A quick Google search as informed me that the secrecy of the 11 herbs & spices in KFC chicken may have been compromised. I could just remove this reference entirely, but I’ve always liked the “second only to” phrase, and with Google no longer being the penultimate secret holder, I’d have to kill this darling. No thank you, Google! Even Anna Chandler says so. Search Engine Optimizer. I agree, it’s confusing to use the same acronym to denote both the trade and the practitioner. People who make pizza aren’t called Pizzas. But no matter how many letters I send to Google, they make no effort to change the acronym to SERP (Search Engine Relevancy Professionals). Probably because SERP also stands for Search Engine Results Page. Chaos is inevitable. And is also itself an acronym I often shout when communicating the probable effects of my acronym-heavy lifestyle (Coronary artery disease, Hypertension, Atherosclerosis, Obesity, Stroke). Some numbers. In 2012 Google conducted over 10,000 side-by-side SERP experiments, over 7,000 live experiments, and launched over 660 changes to their algorithms. That’s more than two changes every day. Yes, I’ve used this joke before. But you still laughed.